David was an energetic man since birth, musically gifted and with a thriving career and family life. However, this all changed when he suffered a traumatic brain injury after an off-road vehicle accident in Florida and had to adjust to a new version of himself. He wasn't the only one to change; his mother, Marjorie Appleby, recounts the life-altering experiences of David's family in her caregiver journaling turned survival health guide, Raising David, Again. 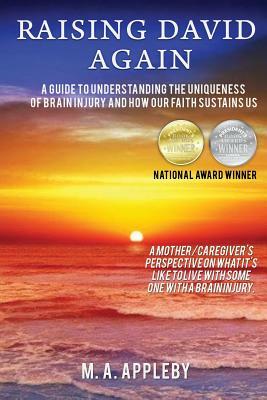 Marjorie's journal entries during David's hospitalization and rehabilitation present advice keys for recovery for brain injury survivors and caregivers to use during the process of recovery. David's left brain damage not only meant re-learning basic motor skills, but also changed behavior after injury, as Marjorie and David's father Dave cared for a different David. However, Raising David, Again describes God's purposes for injury and how their faith in God kept them going in the darkest hours.